When this card is Normal Summoned, you can Special Summon a Level 4 or lower "X-Saber" monster from your hand. 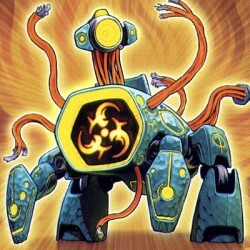 This card cannot be used as a Synchro Material Monster, except for the Synchro Summon of .. If this card is added from your Deck to your hand by the effect of a Spell, Trap, or Monster Card, you can Special Summon this card from your hand. This card cannot be used as a Synchro Material Monse.. This card cannot be used as Synchro Material Monsters, except for the Synchro Summon of a Level 7 or higher Synchro Monster. Once per turn, that Synchro Monster cannot be destroyed by battle. Each ti..
Once per turn, while you have no cards in your hand, you can draw 1 card an reveal it. For a Monster Card drawn with this effect, inflict damage to your opponent equal to the Level of that monster x 2.. When a monster you control, except "Infernity Avenger", is destroyed by battle with an opponent's monster and sent to the Graveyard while you have no cards in your hand, you can Special Summon this ca.. While in Attack Position: Once per turn, you can send 1 Equip Card equipped to this card to the Graveyard to inflict 500 damage to your opponent. While in Defense Position: Once per turn, you can equi.. When this face-up Attack Position card is attacked, and it is destroyed as a result of battle and sent to the Graveyard, you can Special Summon 2 Plant-Type Tuner monsters from your Deck in face-up De.. If this card is in your Graveyard, you can remove from play 1 other Plant-Type monster from your Graveyard to Special Summon this card from your Graveyard, and increase its Level by the Level of the m..
During your Main Phase, you can inflict 400 damage to your opponent for each face-up LIGHT monster you control. This card cannot attack during the same turn you activate this effect. Only one "Fairy A.. When a Machine-Type monster you control is destroyed by battle and sent to the Graveyard while this card is face-up on the field, you can add 1 Machine-Type monster with 1000 or less ATK from your Dec.. This card can attack your opponent directly. When this card inflicts Battle Damage to your opponent by a direct attack, you opponent cannot activate Spells, Traps, Spell/Trap effect, or Monster Card e.. If this card is destroyed by your opponent's card (either by battle or by card effect), your opponent cannot Special Summon a monster, or activate Spells, Traps, Spell/Trap effects, or Monster card ef..